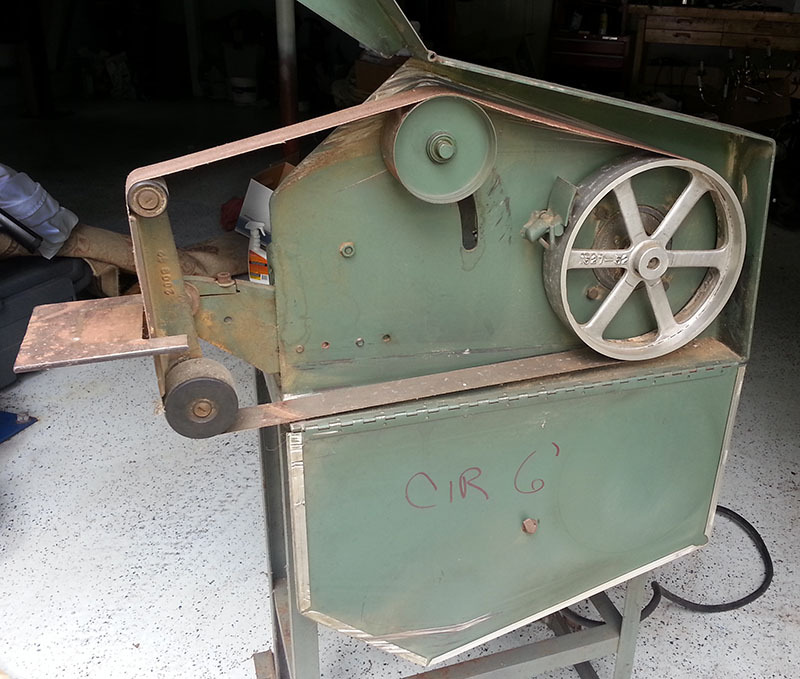 Square Wheel Grinder, built by Olympic. Manufacture date unknown, bought used 25 years ago. This is one of the old-school, heavy, indestructible monsters and will probably outlast your grandchildren. 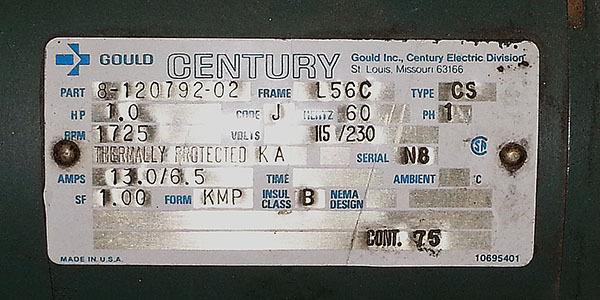 Includes Gould single-speed, single-phase motor. 115/230V, 1 HP. 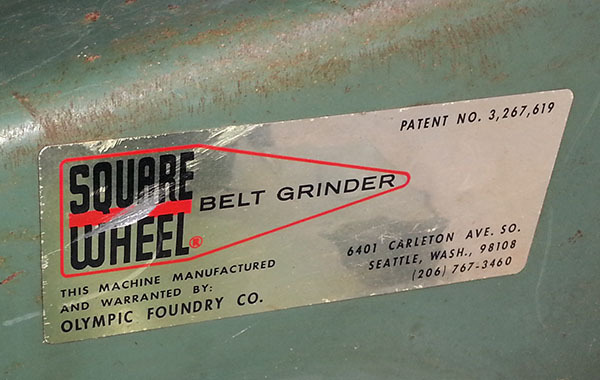 Also includes a heavy steel base and grinding rest built long ago by some craftsman. 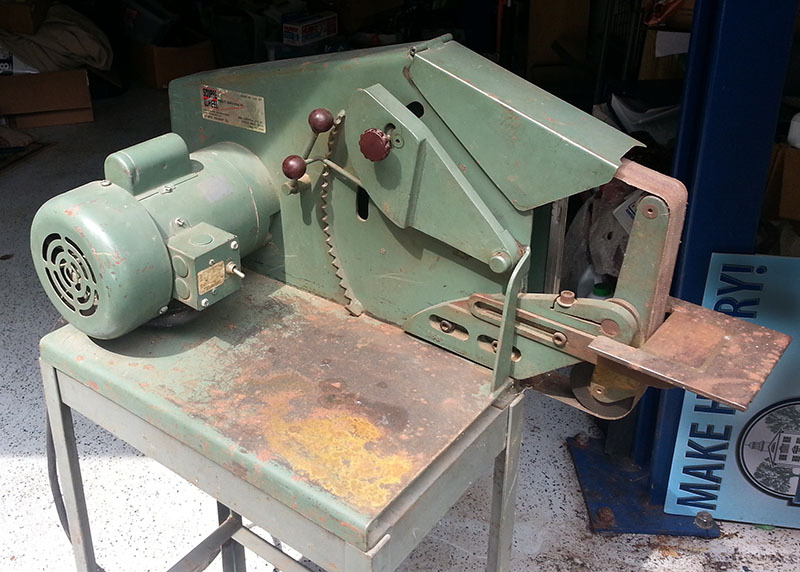 It has not gotten much use since I bought it, and I finally need the shop space more than I need its occasional but wonderful grinding capabilities. Photos make it look a little worse for wear - it's been standing in a corner for a few years and just this month some rain blow-in made some surface rust on the table. NO pitting or damage, there or anywhere else. All parts including the two rubber wheels in good shape although a fussy user will probably want to look at new rollers soon. Motor in excellent condition. Top shield has a cupped edge, of course. Will clean it up for you (was in a hurry to get it listed). Will buff and paint base any color you like as well. Also includes about 15 new belts of varying grit. Pick up from Eastern Connecticut (Exit 69 on I-84) preferred. Can deliver within 100 miles or meet in similar distance for some time/transport/gas costs. 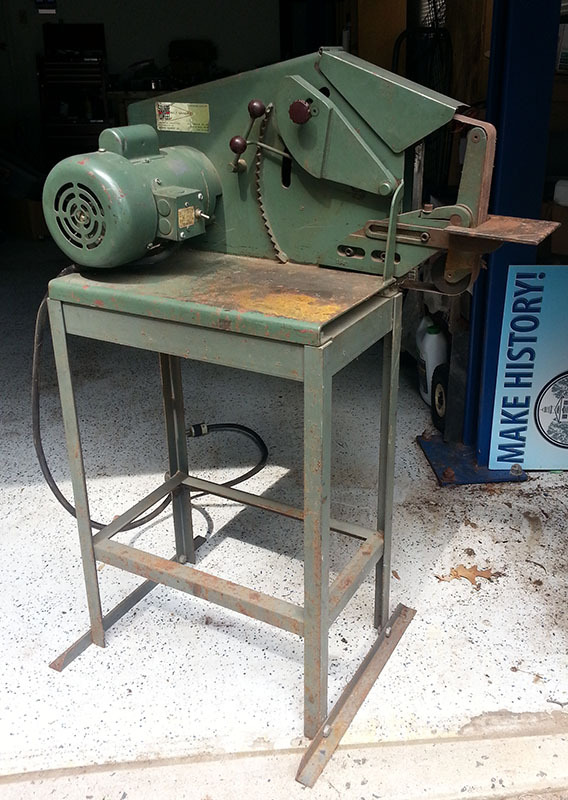 Will include bench-top media blasting cabinet (Harbor Freight/Jet model about 30 inches wide) that needs a little TLC, if you want it. Last edited by NitroPress; 07-10-2017 at 11:01 AM.